Your divorce decree or judgment will often include an alimony award. If alimony is not awarded when you get divorced, then there is no amount to modify afterwards. However, there is the possibility of awarding nominal alimony. If one spouse is unable to pay alimony at the time of divorce for whatever reason, nominal alimony can open up the possibility of future payments. The amount could be set as low as $1. Nominal alimony keeps the door open, allowing you to modify the amount and seek a higher amount later when the ex-spouse is able to pay. 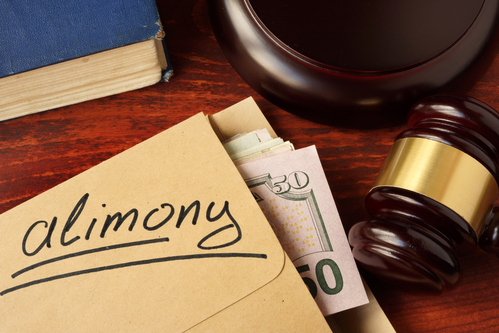 It’s important to understand your divorce decree and the status of alimony. If you were ordered to pay nominal alimony, you must know that you ex-spouse can modify the amount later with the help of an attorney. There are different reasons to modify alimony. Naturally, the paying ex-spouse will seek to reduce the amount while the receiving partner may want to increase alimony. In either case, there must be a substantial change in circumstances to open a modification case in Florida. For example, if you receive a substantial inheritance, your ex may seek to modify alimony, but if you voluntarily quit your job, you can’t expect to get out of paying alimony to your ex. If you’re currently paying alimony, you may be able to modify the amount when your ex-spouse finds a new partner. According to Florida law, alimony can be modified if the payee’s new supportive relationship resolves the need for it. The terms of this type of supportive relationship are ambiguous, but in such a situation, the court would inquire into the nature and extent of this cohabitation of the payee with a new partner. In many cases, the amount of alimony can’t be modified. For example, if you were ordered to pay alimony and decided to remarry, your new expenses related to that second marriage will not affect the alimony amount. If your ex-spouse is earning slightly more money now than before, the alimony amount probably won’t be revisited. However, Florida law generally does not allow for the payee to have a higher income than the payor after the receipt of alimony. If that’s the case, you may have grounds for modification of the alimony award. It’s important to understand that you should never stop making alimony payments until you’re legally allowed to do so. Not paying alimony can result in sanctions and even jail time. Alimony due can’t be discharged in bankruptcy, either. If you have trouble making the payments, it’s best to contact your attorney right away and submit the necessary petitions. If the modification of alimony is granted, a judge may apply those retroactively to the date of filing. Therefore, the sooner you take action, the faster your reduced alimony payments will go into effect. The laws are changing with divorce becoming more common. There are some movements in legislation to reform how alimony is handled. In the meantime, you may find that our alimony payments are modifiable in duration. However, if you and your ex-spouse agreed, your divorce settlement could also include non-modifiable alimony. This type of alimony can never be changed. If you need help figuring out how to modify the alimony payments you’re making or receiving, The Harr Law Firm is happy to help. Give us a call to schedule a free consultation or use our contact form to get in touch.